Areas of Special Biological Importance (California Department of Fish and Game) 1979 (map G 4361 D1 s250 C2) Older series of 56 1:250,000 scale county maps that show key wildlife areas, limited habitats and rare or endangered species habitat. The areas delineated concern terrestrial mammals, birds, reptiles, and amphibians. Atlas of the Biodiversity of California (California Department of Fish and Game) 2003 (ref QH 76.5 C2) Atlas depicts California's great diversity of terrestrial and aquatic animals, plants, and habitats. It explains the state's unique geography, shows how biodiversity is measured, contains a series of species richness maps and provides examples of the complexity and uniqueness of California's wildlife habitats. Biogeographic Information and Observation System (BIOS) (California Department of Fish and Game) Interactive mapping system designed to view, manage, and analyse biogeographic data collected by the Department of Fish and Game and its partner organizations. California, An Environmental Atlas & Guide (Kreissman) 1991 (ref F 859 K74 1991) Collection of state-wide maps that show boundaries, management areas, and facilities for federal and state agencies, universities, private organizations, and major physiographic and ecological features. Also has a directory of federal, state, and major private environmental agencies. California Department of Fish and Game Land Viewer (California Department of Fish and Game) Interactive mapper allows one to zoom to a specific location in California and identify CDF facilities and properties. California Natural Diversity Database (CNDDB) Quick Viewer (California Department of Fish and Game) Interactive mapper that lists all CNDDB species or natural communities that have been documented by the CNDDB to occur within a USGS 1:24,000 topographic quad. This list may include both recent and historical records. For statewide maps of occurrences by California topographic quadrangle see CNDD Animal Element Occurences and CNDD Plant Element Occurences. California Watershed Browser (California Watershed Council) Users can navigate through a map of California's watersheds based on the CalWater geographic dataset. Once an area of interest is identified, one can retrieve digital orthophoto quads; scanned USGS map sheets for the area; watershed projects from the Natural Resources Project database; and a list of rare species and natural communities inventoried by Fish and Game’s Natural Diversity Data Base. 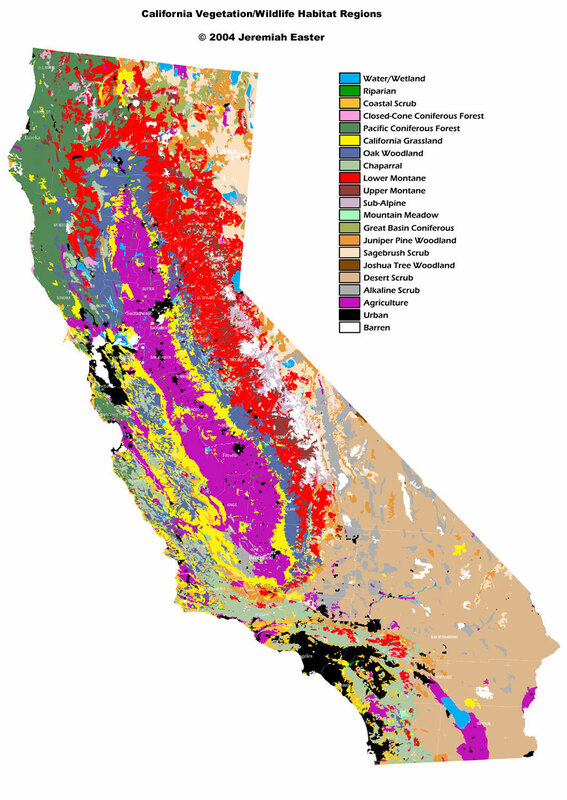 GAP Analysis of Mainland California: An Interactive Atlas of Terrestrial Biodiversity and Land Management (California GAP Analysis Project) 1995 (Atlas QH 76.5 C2 C34 1995) Provides an assessment of the conservation status of native vertebrate species and natural land cover types in California. Uses medium-scale distribution maps to show 300 dominant plant species, 200 plant communities, predicted distribution of 455 terrestrial wildlife species, 58 wildlife habitat types, and land ownership and management status. Will also display a list of rare or endangered species in a selected 1:24,000 USGS quadrangle. The interactive atlas allows one to make queries, displays, and analyses. Data can be downloaded in Arc/Info export format for use in a local GIS system. Data is available in statewide datasets or in subsets by ecological region. For additional information or to download GIS coverages directly from the Internet see the California GAP Analysis Home Page. Wildlife Habitats: Multi-Source Land Cover Data (California Department of Forestry and Fire Protection) 2003. Shows California Wildlife Habitat Relationships System habitats on a statewide map and on a series of county maps. Compiled for the 2002 Forest and Range Assessment Program. Wildlife Habitats: Gap Analysis Program (California Department of Forestry and Fire Protection) 2001. Statewide map of California at a scale of 1:1 million that classifies wildlife habitats using the California Wildlife Habitat Relationships System (CWHS) habitat classification system. Amphibian Maps (Washington NatureMapping Program) Includes distribution maps by species for California frogs, toads and salamanders. Life History Accounts and Range Maps: Amphibians and Reptiles (California Department of Fish & Game) Contains species accounts, distribution maps and literature references for 46 amphibians and 75 reptiles found in California. Species accounts include notes on distribution, abundance and seasonality; habitat requirements for feeding, cover, reproduction, water and pattern; and life history. Accounts are intermediate in detail between treatment found in typical field guide and a more extensive literature review. Distribution maps show winter, summer and yearlong range. Prepared as part of the California Departments of Fish and Game's California Wildlife Habitat Relationships Program. The print version was published as California's Wildlife Vol. 1 Amphibians and Reptiles (Zeiner, Laudenslayer, Mayer and White) 1988 (ref QL 164 C26) The online version contains updated species accounts and distribution maps. Reptile Maps (Washington NatureMapping Program) Includes distribution maps by species for California snakes, turtles and lizards. Atlas of California Coastal Marine Resources (California Department of Fish and Game) 1980 (atlas G 1526 L1 C35 1980; also Cal Doc F 650 C52) Set of 134 mostly 1:24,000 scale maps of California's nearshore and intertidal environment which indicate presence of biological resources (shellfish, marine mammals and birds, pelagic and bottomfish, kelp beds, spawning areas), human resources (piers, artificial fishing reefs, sewer outfalls and power plant sites), and land use (refuges, areas of special biological significance, fishing and recreational areas). Biodiversity Maps of Fishes in California (Information Center for the Environment) Series of maps that show species richness. CalFish Map Viewer (California Department of Fish and Game) Interactive mapper that includes data layers for fish species, habitat, management and conservation and base maps. 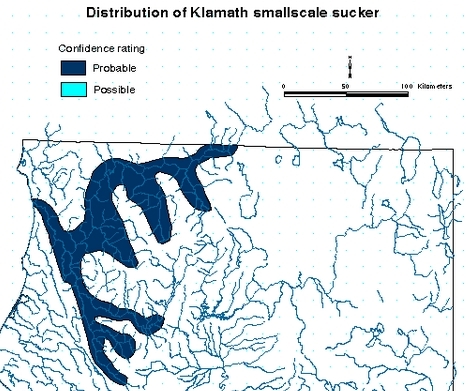 Distribution Maps of Fishes in California (Information Center for the Environment) Series of 110 maps that show probable and potential distribution of native and non-native fish species in California. Bird Maps (Washington NatureMapping Program) Includes distribution maps by species for California birds. Catalog of California Seabird Colonies (Sowls) 1980 (print copy available in Docs I 49.2:SE1/4) (FWS/OBS-80/37) Summary of the location, size and species composition of seabird colonies along the coast of California. Includes species accounts for 17 California seabirds followed by a series of 1:24,000 scale maps of seabird colonies documenting 260 nesting areas. For each area gives species present and number of breeding birds. California's Important Bird Areas (Audubon California) Includes information on 145 important bird areas in California. These sites provide essential habitat for one or more bird species for breeding, wintering, and/or migration. Each site description includes a site summary, ornithological significance, conservation issues and site map. Also includes state and regional maps and downloadable gis data. 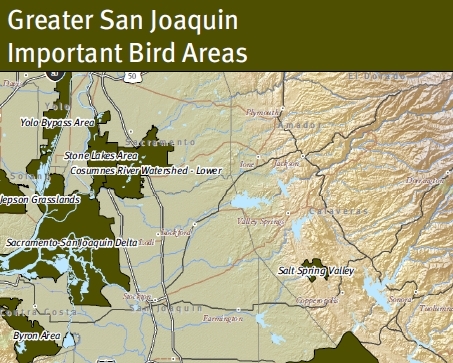 Life History Accounts and Range Maps: Birds (California Department of Fish & Game) Contains species accounts, distribution maps and literature references for 344 birds found in California. Species accounts include notes on distribution, abundance and seasonality; habitat requirements for feeding, cover, reproduction, water and pattern; and life history. Accounts are intermediate in detail between treatment found in typical field guide and a more extensive literature review. Distribution maps show winter, summer and yearlong range. Distribution maps originally were published in Distribution of California Birds (Grenfell and Laudenslayer) 1983 (Docs A 13.2: C12/7). Prepared as part of the California Departments of Fish and Game's California Wildlife Habitat Relationships Program. The print version was published as California's Wildlife Vol. 2 Birds (Zeiner, Laudenslayer, Mayer and White) 1990 (ref QL 164 C26) The online version contains updated species accounts and distribution maps. Life History Accounts and Range Maps: Mammals (California Department of Fish & Game) Contains species accounts, distribution maps and literature references for 181 mammals found in California. Species accounts include notes on distribution, abundance and seasonality; habitat requirements for feeding, cover, reproduction, water and pattern; and life history. Accounts are intermediate in detail between treatment found in typical field guide and a more extensive literature review. Distribution maps show winter, summer and yearlong range. Prepared as part of the California Departments of Fish and Game's California Wildlife Habitat Relationships Program. The print version was published as California's Wildlife Vol. 3 Mammals (Zeiner, Laudenslayer, Mayer and White) 1990 (ref QL 164 C26) The online version contains updated species accounts and distribution maps. Mammal Maps (Washington NatureMapping Program) Includes distribution maps by species for 137 California mammals.